As of January 2016, the educational programmes, Art Land, Worth Seeing, City Grammar and Spot on the Map, produced by English Club TV, became a part of the viewing schedule of one of the biggest Italian terrestrial channels, Rai Scuola. The channel specializes in fundamental learning. Thus, more than 9 000 000 children and their families will create beautiful masterpieces watching the Art Land programme, discover new interesting sights of London and hidden places on the world’s map watching the Spot on the Map and Worth Seeing. The charming host of City Grammar explains various grammatical aspects with the help of common examples that surround us in our daily lives. Each episode takes viewers to a different location in London and completely covers one grammatical topic. 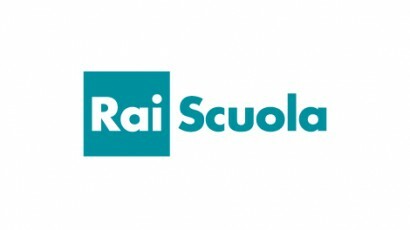 Rai Scuola is an Italian public educational TV channel owned by Rai Educational, an arm of pubcaster RAI, available on digital terrestrial television in Italy. Rai Scuola was launched on October 19, 2009 and specializes in the fundamental learning of pupils (like English courses etc.). The channel is also available in Slovenia, Croatia, Lithuania, Luxembourg, Europe (Free satellite channel), Bulgaria, Bosnia-Herzegovina, France, Malta. English Club TV is a unique educational channel for those who want to learn and improve their English. The English Club TV Channel is available via Astra4A and Measat3A satellites which cover the European, Asian and African continents. Every day more than 24 000 000 subscribers of more than 400 operators watch English Club TV in 76 countries around the world. English Club TV content is available through OTT, VOD, DTH, IPTV and mobile platforms.